Oliver and Mason are a strange couple. I normally really enjoy Ricci’s stories, but this one just didn't do it for me. I thought that it was very truncated and stitched together. It was a disjointed flow for me. On the one hand, you have a successful poly-type photographer, who enjoys his friends and then finds Mason attractive. However, he kind of jumps right into wanting a relationship due to his attraction, but doesn't really know how to get out of his current situation. When his current boyfriend does decide for them that it's time to end their relationship, he just assumes that Mason will be ready for him. Mason has had a difficult childhood and a parent who seems totally checked out. However, when things come to head, she totally believes him, when before she didn't. It was too much of a 180 for me. I just didn't or couldn't get into this story. 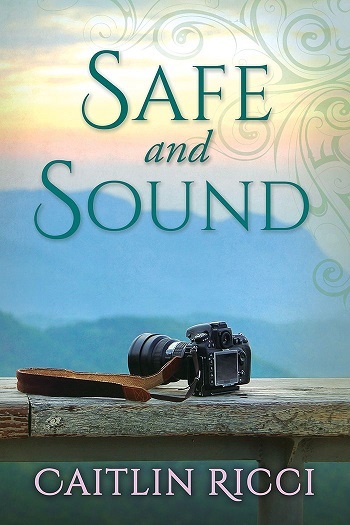 Reviewers on the Wicked Reads Review Team were provided a free copy of Safe and Sound by Caitlin Ricci to read and review. Books have always been my safe place. I've been lucky all my life I've always had a home which is my safe place. My mom. She is the kindest person I've ever met. My parents. They are supportive without being judgemental. My husband and my home make me feel safe & sound. My family and things that give me comfort. I feel safe with the family I've chosen. My family makes me feel safe and sound.